They will be vaccinated with their first vaccination and be micro-chipped before they go. 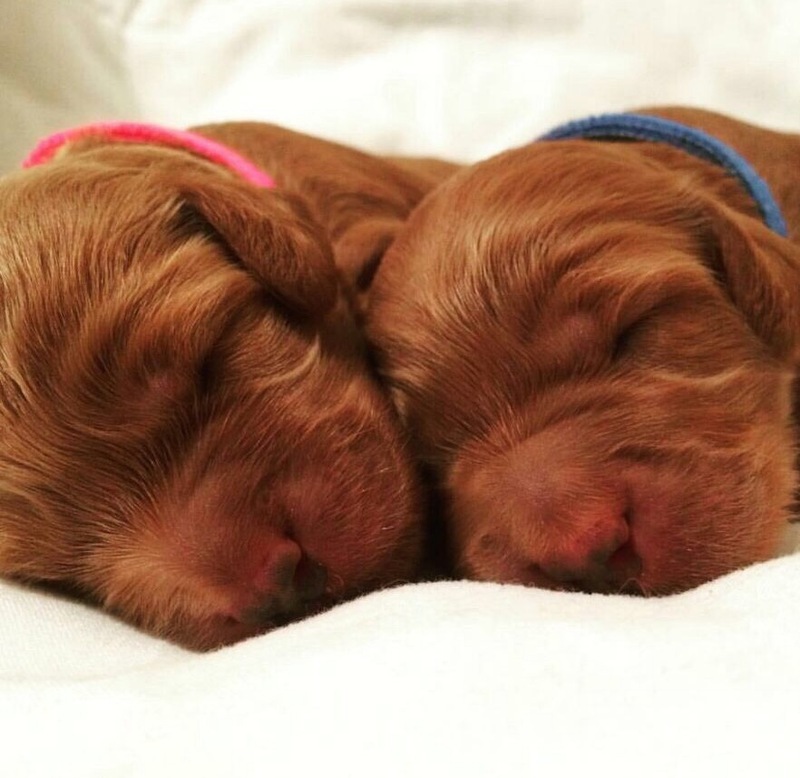 The puppies mum is an F1 Cockapoo (who herself is a cross of a red Pedigree Cocker Spaniel and solid fox red Pedigree Toy Poodle). She is a sandy red colour with a white chest. 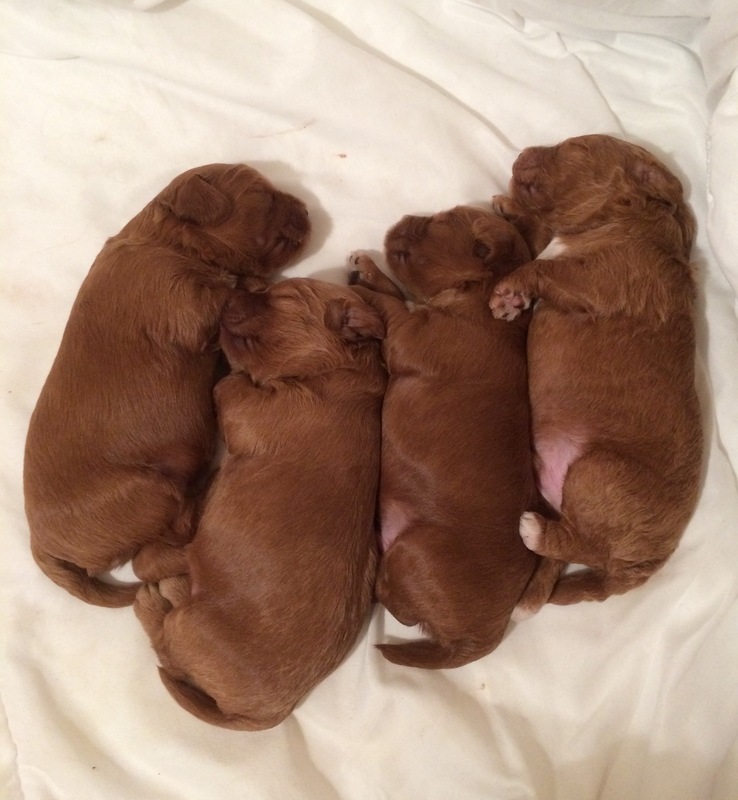 The puppies dad is a Pedigree solid fox red Toy Poodle, so they are F1b. The parents of the mother were checked for various hereditary conditions, as was the father, and these all came back clear. This means you can be sure that your puppy will never develop any of these life crippling illnesses. I have copies of pedigree certificates and the appropriate test certificates for the buyers. The puppies are all red haired (some with with beautiful white markings). A non-refundable deposit of £200 will be required to hold your puppy, and full payment is to be made on final collection of him. I am determined that these boys go to the best homes possible, so please only contact if you can provide them with a safe and loving home and family to last them a lifetime. Please email me for photos, which I will be happy to provide.